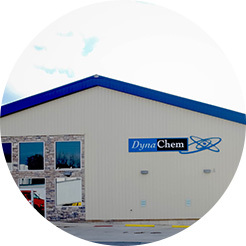 DynaChem, Inc. is very much committed to providing high quality fine chemical production with a large array of equipment and expertise. DynaChem, Inc. has been a custom and toll manufacturer since 1968. DynaChem, Inc. is a three-tier production facility suited for the specific needs to manufacture grams, kilos or tons. DynaChem Incorporated is built on a strong chemical and technical research foundation. The analytical laboratory at DynaChem, Inc. is a process-oriented analytical lab, staffed around the clock to meet the real-time requirements of chemical process development and production.